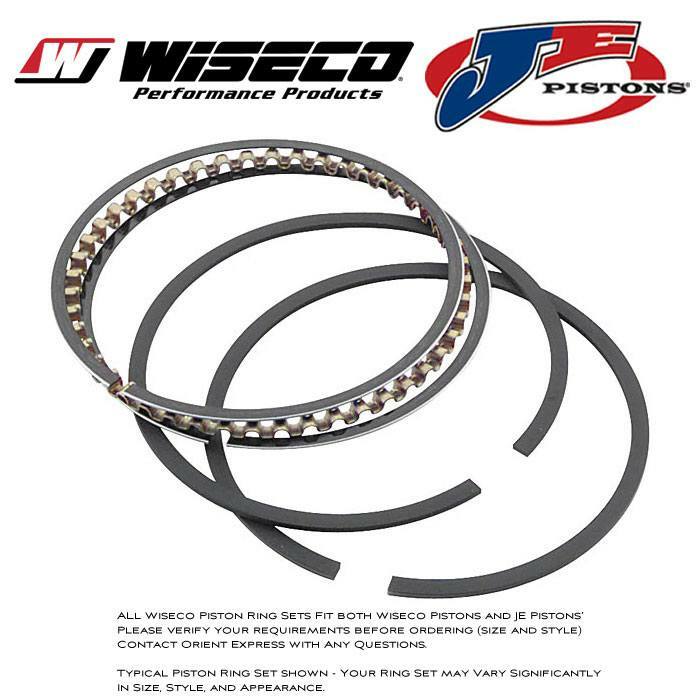 All Wiseco Piston ring sets fit JE Piston's with the same specifications, and the XR series piston rings share the following specifications: Top ring is either 1mm or 1.5mm thick alloy steel, ferrox coated, and chrome faced. 2nd ring is 1.2mm or 1.5mm cast iron, phosphate coated and taper faced. Oil ring is either 2mm or 3mm thick and a 3 piece assembly - stainless steel flex vent spacer, with chrome faced rails. Please contact us to verify your requirements if you have any questions. You must order 1 set per piston times the number of pistons in your motor. Proper end gaps may need to be set before installation.